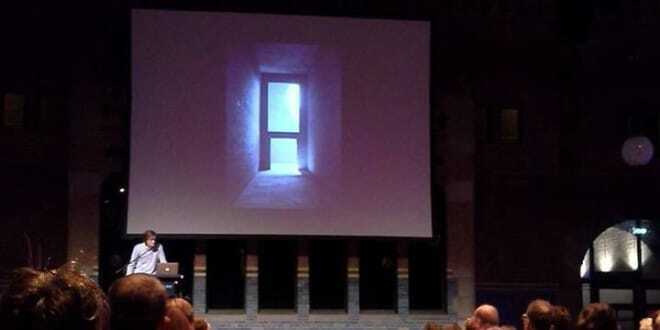 December 11th 2015 the sympium Licht -Donker -Slaap (Light- Dark- Sleep) took place at the Beurs van Berlage in Amsterdam. Marijke Gordijn was there to give a lecture regarding ‘when every second counts, the role of sleep and time of day on athletic performance”. Why is sleep an important part of your training-schedule? Does it matter if you’re a morning or an evening person? Which part of the day do you perform optimally? How do you prevent jetlag? Factors that impact your athletic performance are ofcourse training, but also nutrition, sleep and even time of day. When you don’t sleep sufficiently, this can influence i.a. your memory, mood, health and the functioning of your brain. Students that sleep less than 7 hours a night have lower grades than students who get sufficient amounts of rest. Sleep deprivation (more then 2 nights of poor or little sleep) also affects athletic performance. Fatigue can kick in sooner, or you are less aware, which leads you take bad tactical decisions. The time of day when you perform best, is dependent on the settings of your biological clock. That clock is composed of special cells in your brain and determines when you are awake and when you are sleepy. When you want to get the best out of your awake hours, it is important that you live a structured life. Go to bed roughly the same time every day and wake up in the morning at roughly the same time. What about morning and evening people? It is well known that there is a difference between morning and eveningpeople. These differences are on a cognitive level; they have to do with how well the brain functions. However, there are no differences on a physical level. Both morning and eveningpeople are prone to achieve better athletic performances in the afternoon (around 18:00) then in the morning. Many top athletes subconsciously adjust their schedules towards this: light training is scheduled in the morning whereas they demand most of their bodies in the afternoon. Why do you perform worse jetlagged? It turns out your biological clock responds strongest to light. That’s why we’re awake during the day and we become sleepy when it becomes dark. When you travel to another timezone, there will be light while your biological clock thinks it’s bedtime. This confuses the biological clock. One person requires more time to adjust then another. Bad performance because of jetlag are the consequence of bad sleep quality and because you have to perform in the wrong phase of your day-night rhythm. In the new timezone your biological afternoon might fall in the middle of the night. How can you prevent jetlag? First of all, you can improve the quality of your sleep by taking a sleeping pill. This is however not encouraged, because a sleeping pill will not affect your biological clock and you will still have to give an athletic performance during a wrong time in your biorhythm. Furthermore, sleeping pills can have nasty side-effects. The best solution is to try and adjust your biological clock to the rhythm of the new timezone. You can achieve this by travelling early to the location the competition takes place, or by getting used to the new timezone at home. This can be done using light-therapy, by making your biological clock believe it is early in the morning.